Our story began more than ten years ago with a dream to see God use us to TRANSFORM Lonoke County and beyond for His glory! 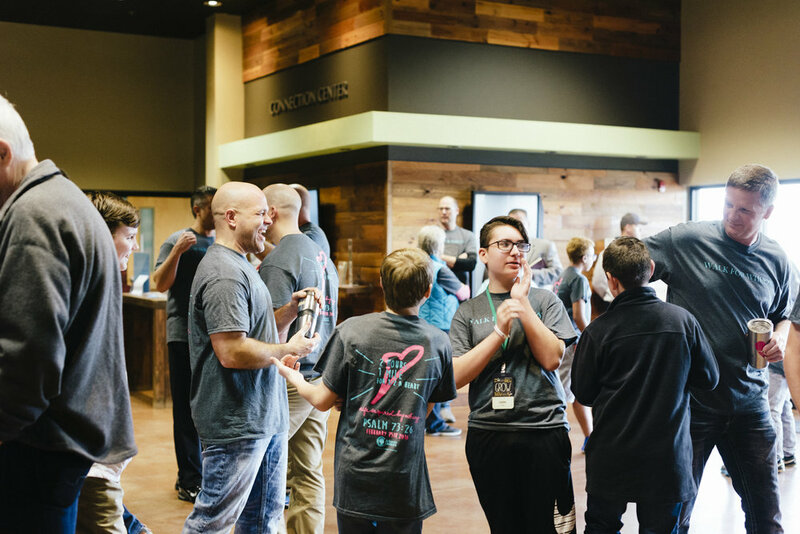 The heart of Fellowship Cabot is to be TRANSFORMED and a TRANSFORMING community- committed to making disciples who love and follow Jesus, proclaim His Gospel with their words and lives, embrace each other and the hurting, and sacrificially serve and give for the sake of His Kingdom. It seems appropriate that we would use the word TRANSFORM to describe our process to expand our campus because God has been growing our community by TRANSFORMING one life after another life until now we find ourselves pressed for additional ministry space. As we enter into TRANSFORM, our prayer is that each of us will fully engage with God and our church. Our TRANSFORM journey, like the invitation to follow Jesus, requires radical commitment. Pray boldly asking God how He would like for you to invest in our church’s future. Make space to listen to God and what He has to say to you. Respond with a commitment and let’s sacrificially join together to see God TRANSFORM even more lives in Lonoke County. This is a three-year process where we seek to raise $1.8 million to build a new worship center, FSK space, youth space and offices. We are asking you to remain committed and faithful all three years with giving that is above and beyond your regular giving. When we are faithful, God TRANSFORMS us! Years from now, we hope to look back together and see how God uses this process to TRANSFORM each one of us, our community, our church and the world for the glory of His Name. Fellowship Cabot has been strained for several years by limited ministry space in our current building. This project will renovate our existing building while also adding new ministry space with a new building. We are pressed for seats in our current worship center with no room for additional growth. We do not have adequate space for fellowship or classes immediately after service. FSK continues to grow and is pressing the boundaries of our available classrooms. We do not have dedicated space for FSM which has grown by 100% in attendance in the last two years. Our offices are offsite which creates lots of logistical challenges. The total cost of the building project will be approximately $4 million. And to pay for the project, we hope to raise $1.8 million through TRANSFORM over three years and use $700,000 in cash committed from other Fellowship campuses. If needed we will finance any remaining balance left on the construction project. Watch the Fellowship TRANSFORM messages here!